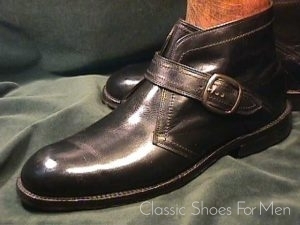 Lloyd & Haig was an American retailer with three locations in Manhattan until the mid 1980. 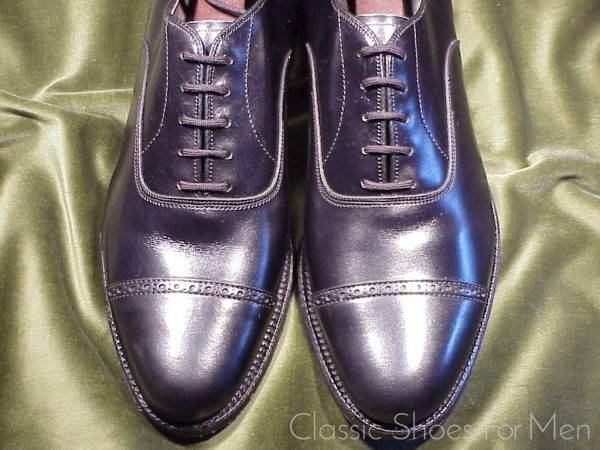 They imported and re-branded the finest of ready-made English shoes. 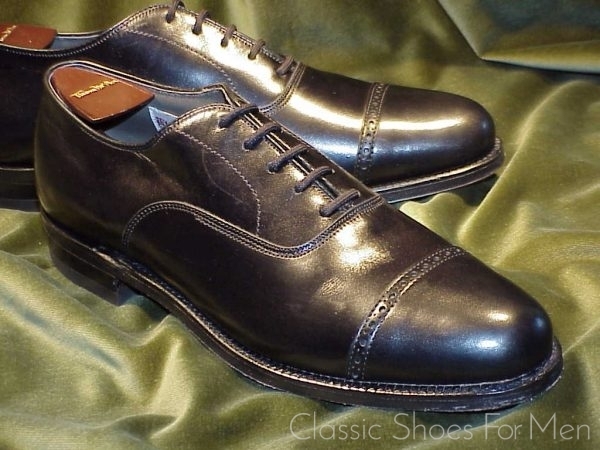 I would put their offerings on a par in terms of quality and construction with today’s English-made Brooks Brothers shoes, the so-called Peal & Co. line, which shares many earmarks with John Lobb’s ready-mades, in short, a top quality ready-made shoe. 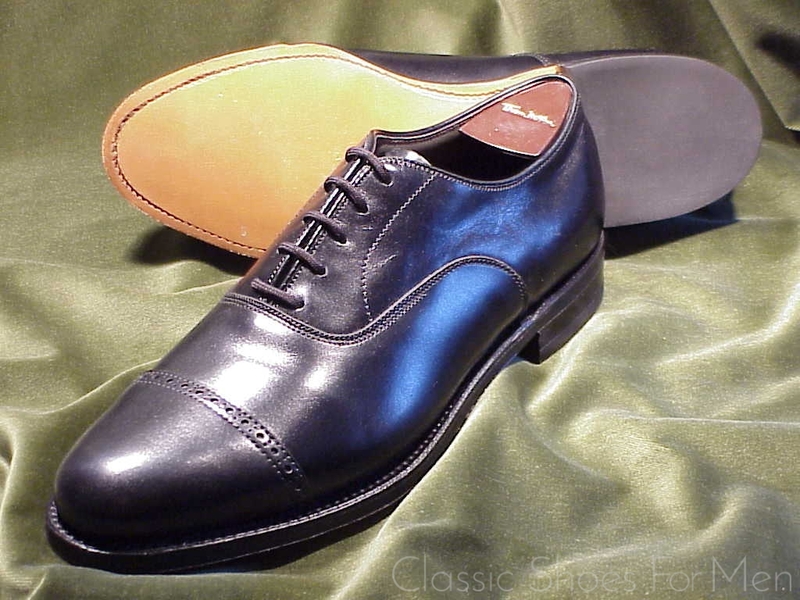 Lloyd & Haig served the New York business community for several generations and, accordingly, offered a very traditional and conservative line of shoes of which this is an excellent example. 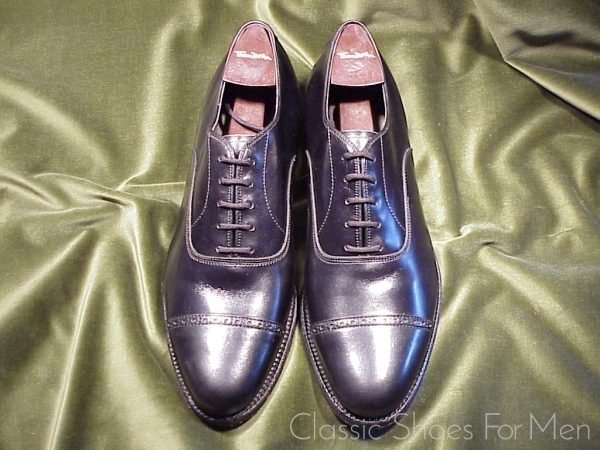 Size: UK 7.5E….. US 8.5D……European 41.5D, for the medium width foot. 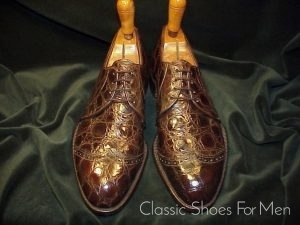 Condition: New and unworn.. Goodyear welted (of course). 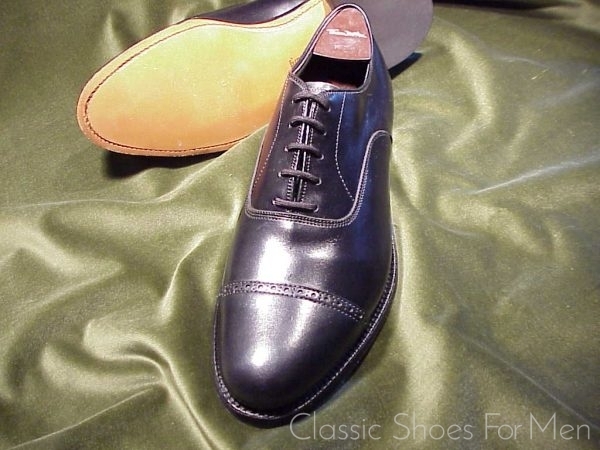 This is the ideal shoe for evening or business wear; no shoe is more basic or more useful in the gentleman’s wardrobe. 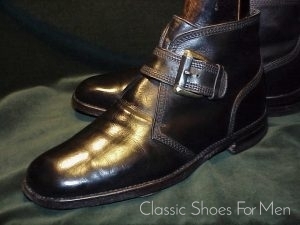 Lloyd and Haig was founded by two Englishmen in 1929 on Cedar Street in New York City. It failed shortly after and was taken over by Ed Meyer who a year later joined forces with Sherman Tarlow, Bill Tarlow’s father, a salesman for Alden Shoes in New York. They opened a store together on East 44th Street on the unusual proviso that the store show a profit in its first year otherwise Tarlow would be out and lose his investment. But successful they were and continued in partnership until Ed Meyer’s death in 1956. Bill Tarlow joined the firm a year later and was followed by his brother Alan 5 years later. 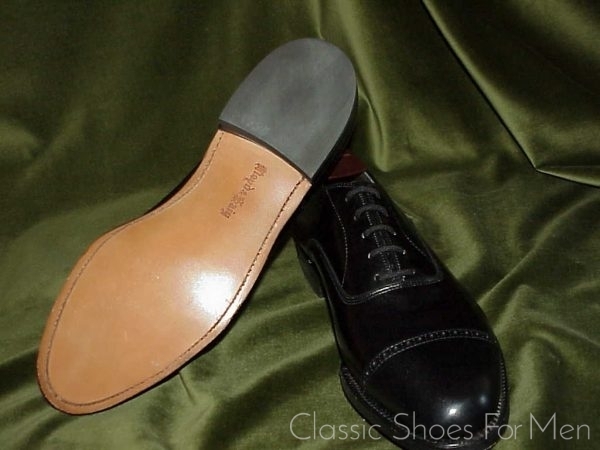 The Meyer interests were purchased in 1958 and the firm became a family owned and run business. Sherman Tarlow died in 1977 and the firm continued under the direction of the two brothers. In 1959 Lloyd & Haig replaced Alden with Howard & Foster and the private label division of Bostonian as their suppliers. 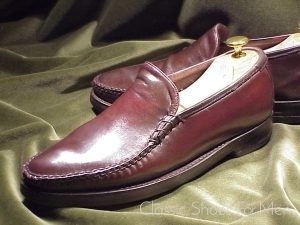 Hanover produced hand sewn loafers mainly for the firm and when they could not get cordovan leather they produced a plain toe oxford. 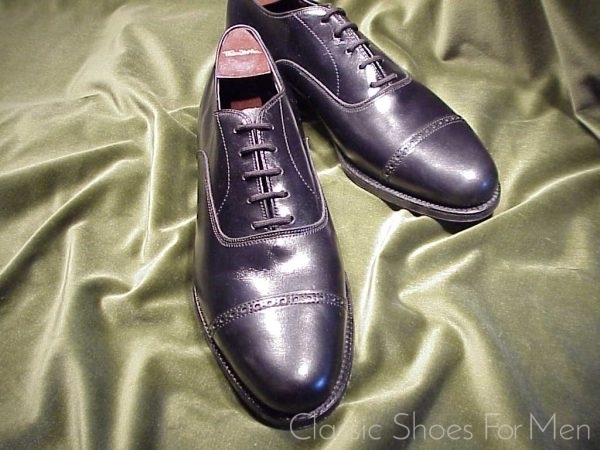 In the early 70’s they were approached by a British firm of Joseph Cheaney and, at that time, reintroduced English shoes to their line but Lloyd & Haig designed almost all their own styles and chose materials to fit. “Lloyd & Haig” war ein amerikanischer Grosshändler mit 3 Locations in Manhatten – bis ca. Mitte der 80er. Er importierte die feinsten englischen Konfektions-Schuhe und brachte sie unter eigenem Namen heraus. 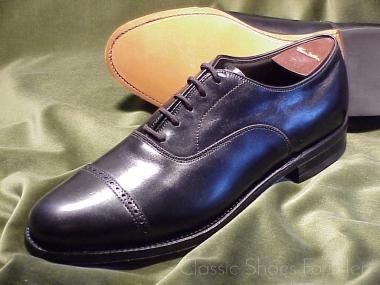 Ich würde deren Angebote, was Qualität und Fabrikation angeht, durchaus den modernen englischen Fabrikaten von “Brooks Brothers” gleichsetzen – der sogenannten “Peal & Co-Line”, die wiederum vieles mit John Lobb’s Konfektion-Produkten gemein hat- kurzum also: ein Top-Qualitäts-Schuh. Lloyd & Haig haben der New-York-Business-Community für Generationen gedient und haben gleichzeitig eine sehr traditionsverbundene und im besten Sinn “konservative” Serie angeboten. Grösse: UK 7.5E….. US 8.5D, deutsche Grösse 41.5D, für den mittel-breiten Fuss.